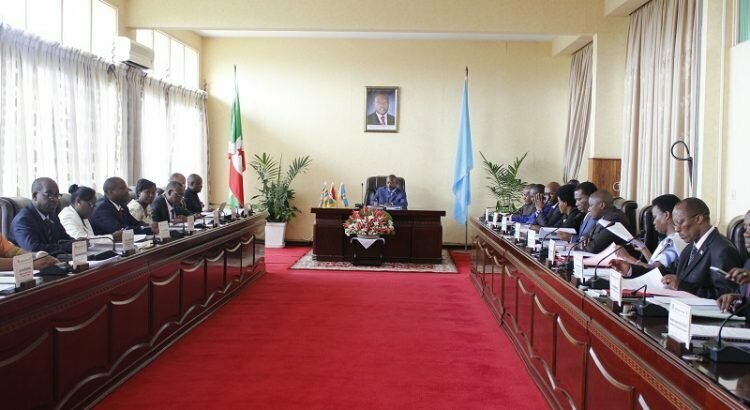 BUJUMBURA June 4th (ABP) – The Cabinet, led by Head of State Pierre Nkurunziza, analyzed and adopted on Monday two bills and a draft Decree, as disclosed by the General Secretary Office of the government. The first bill was presented by the Minister of the Interior and related to the creation of the new commune of Buhayira and the delimitation of Buhayira and Murwi communes in Cibitoke province (north-west). The objective is to better supervise the people and promote its development, especially since the new commune has the potential and sufficient resources for its operation. In addition, the commune constitutes the basic administrative entity for the economic and social development of the people that are established there. The Cibitoke province concerned by this administrative reorganization is composed of six communes. The Murwi commune is one of those communes and includes six zones including that of Buhayira, located at 70 km (round-trip road) of the Murwi commune’s headquarters. It is this area that will bear the name of the new commune. The geographical location of the Buhayira zone in relation to the headquarters of the commune deprives its people of access to the goods and services of the communal administration that they need. This situation was even exposed to President Pierre Nkurunziza during his visit to Murwi in February 2015. The second bill related to Burundi’s ratification of the grant agreement for the financing of a landscape restoration and resilience project. 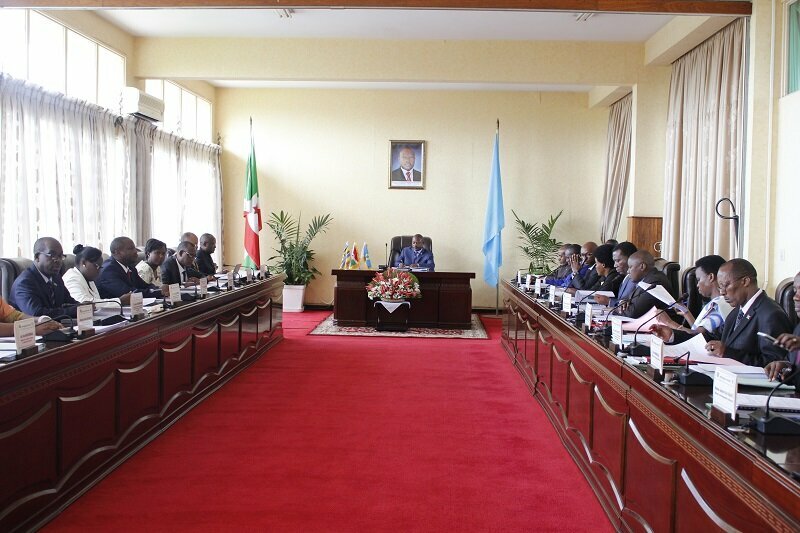 That bill presented by the Minister in charge of Agriculture and the Environment relates to an agreement concluded between Burundi and the International Development Association (IDA), signed on May 24, 2018 in Bujumbura. The agreement is in the form of a grant of US $ 30 million and aims to restore land productivity in degraded landscapes already targeted. The five-year project will be implemented in two pilot communes, namely Isale in Bujumbura province (west) and Buhinyuza in Muyinga province (north). It will also support development activities around the Ruvubu, Kibira and Bururi Nature Reserve. The third bill adopted was a draft Decree establishing the creation, missions, organization and operation of the steering committee of a national reforestation project called “Ewe Burundi urambaye” or “A well-dressed Burundi” in English. Natural forests once covered between 30 and 50% of the national territory. This rate has gradually decreased to 6.6% currently. There are many causes, but excessive clearing, excessive population growth and inappropriate land management practices are the main causes. Yet, the Cabinet’s conclusion is that the importance of trees in landscapes and forests in general is undeniable. More than 95% of the energy consumed by Burundian households comes from wood. The forests also provide ecosystem services such as water cycle regulation, microclimates for agriculture and serve watersheds and especially the prevention of soil erosion. As a consequence of this deforestation, Burundi is facing reduced forest cover, loss of biodiversity, erosion of arable land, landslides causing the deterioration of roads and other natural disasters. Aware of the dangers of deforestation in Burundi, the authorities at the highest level initiated the reforestation project “A well-dressed Burundi”, in order to restore the forest cover. This seven-year project will be carried out in parallel with other reforestation projects initiated by the other State services and will be carried out mainly by members of the defense and security forces. The project analyzed, but adopted with some amendments, establishes a legal framework for the functioning of the steering committee which will be in charge of monitoring all the activities related to the implementation of the project and drawing the guidelines to be followed.